As the youngest of four children, you’d almost expect that Paige Clegg decided to pick up a bowling ball because one of her older siblings had success at the sport. Or perhaps her mom or dad were regulars in a local league. 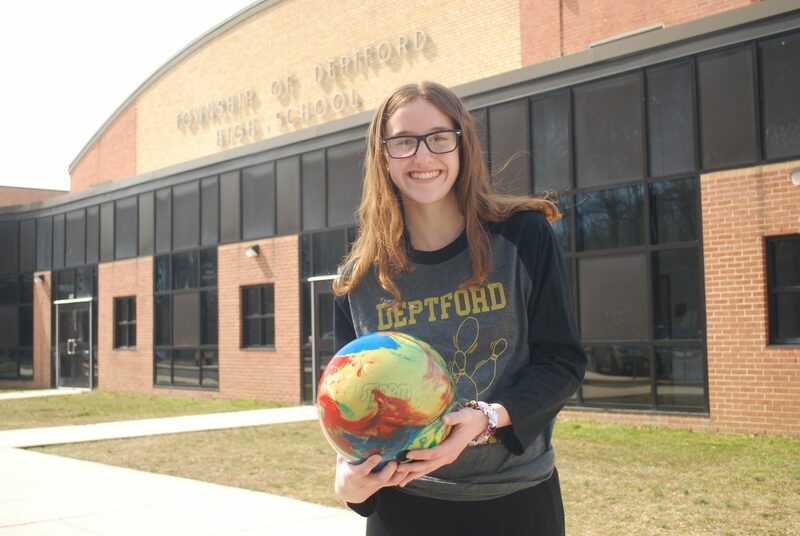 Instead, Clegg, a standout sophomore at Deptford Township High School, kind of stumbled into the sport. Clegg became a good enough bowler that going out for the bowling team felt like the natural progression when she arrived in high school last year. A year later, not even midway through her high school career, Clegg’s meteoric rise in the sport has reached new heights: She is The Sun Newspaper’s Girls Bowler of the Year. Clegg’s 566 series at the state tournament was the highest of any girl in South Jersey, and her regular season average game of 179.5 was the best among her peers, too. Clegg’s path toward bowling success was one paved by good, old-fashioned hard work. As a freshman, Clegg was competitive (average game score of 155) but there was also room to improve. Enter George Wagner III, a coach who saw her in action at Brunswick Zone on Delsea Drive. Clegg had no idea. She thought what she was doing was natural. But she was open to suggestions and help, so she took Wagner’s advice and worked with him regularly during the spring and summer. Suddenly, Clegg went from a competent, competitive bowler to one who could hang with anyone in the state. Clegg, who bowled a 583 series at the South Jersey sectionals this year, has two more scholastic seasons to aim for a new goal: to become the area’s first state champion since 2012. That was the last year South Jersey had a champion, when it swept the girls and boys tournaments as Washington Township’s Nicolette Sarin and Kingway’s Diante Fields were crowned state champions. She’s also begun to look into bowling in college, even though high school graduation is still more than two years away. The journey from bowling at birthday parties to considering a collegiate career has been a bit of a whirlwind for Clegg, but in the very best way.